This is a concept that is taught by practitioners of Brazilian Jiu Jitsu. The idea of it is that you first establish a good (tactical) position BEFORE you initiate an attack. Because you will always have to give something to get something. Meaning that you are going to have to risk or sacrifice something you have to gain something you want. In a physical engagement in order to attack you have to risk some of your defensive position. In relationships, you have to risk being vulnerable and getting hurt, to deepen your relationship with another person. In a fire fight with guns, you have to expose yourself in order to get your shot in or return fire. In business you have to risk resources like time, money and effort to acquire something in order to possibly gain financially. 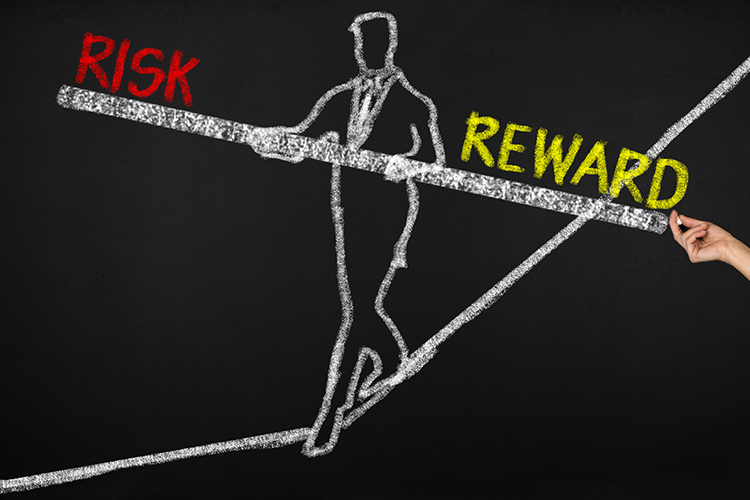 1) Understand that there are Risks. 3) Assess the Risks According to Your Risk Tolerance. This framework can help you to develop a plan to better prepare you to not only protection, but also PROGRESS, because with Risk also comes OPPORTUNITY! ...And in the world of real people like you and I, where resources are limited, we often have to stretch in order to get to the next level (heck, sometimes just to maintain...). ...Sometimes we have to break a few eggs in order to make that omelet. Sometimes we have to be tough on someone because we love them. Sometimes going toward the threat is less risky than going away from it. Hindsight may be 20/20, but when you're in the thick of things it can be tough to have clarity. ...Often the stress makes things less clear. So, it's important to have a plan in advance, so you're not making decisions on the fly, so to speak. Remember, nothing comes free, we just have to make sure that we manage the what we do, so that the risk is worth the reward.